DSAG Annual Conference 2013 in Nuremberg – visit us! Click Stream, the simple yet powerful tool for SAP Portal analytics, is now available for download in version 2.4.40. It comes with brand new enhancements and features, many of which optimize performance. A highlight in this release is the Top Pages iView, now streamlined to run even more efficiently. 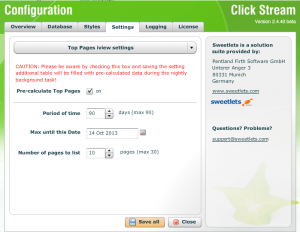 Top Pages is a lesser known iView in Click Stream that is nevertheless convenient for administrators and end users alike – admins may find it useful to keep track of the most popular portal pages in a compact iView form, and all users can easily access the most frequently used pages. To arrive at the most popular pages, Click Stream now pre-calculates the needed data as a daily background task and writes it to a cache table, instead of calculating the data during run-time. In addition, it calculates a more focused number of pages, thus saving on valuable processing time. 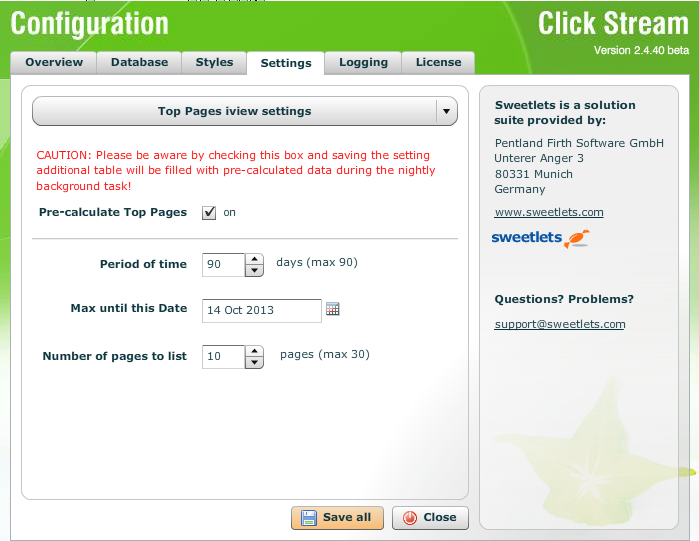 If needed, administrators can fine tune some of the Top Pages parameters through the Configuration module, which now contains Top Pages iView Settings. In most cases, however, the default settings already provide excellent performance optimizations. Different organizations have different rules for information that employees are allowed to access – Click Stream accommodates these various needs by providing a wider range of user roles to choose from, each with different access rights to Click Stream reports and features. Download the Click Stream User Guide to read detailed descriptions and step-by-step instructions on how to set up and work with these user roles. Black list filter option for pages in the Top Pages report. Clients have requested this to exclude their portal landing page from the report. If you currently use Click Stream, simply download the latest EPA or EAR file. Not yet familiar with Click Stream? Try our free, fully functional version. One of the world’s foremostresearch organizations, the MPG has been using System Messenger to ensure that important announcements get across to its international and German-speaking portal users. Important features for their organization: distribution list management, multiple language support and message templates. Read more in the Max Planck Society Success Story. Wieland Electric GmbH and BW Tree – Wieland Electric, a leader in the electric and electronics industry, had already been putting two Sweetlets products to good use – Click Stream and System Messenger. The company turned to Sweetlets once again to get a customized version of BW Tree, thus solving the problem of how to replace SAP BEx Browser without losing functionality. Sweetlets developers were happy to oblige. Wieland not only got the features they wanted to access reports in their BW systems, but they also got the single sign-on convenience and ease of use that comes with BW Tree. Read more in the Wieland Electric Success Story. 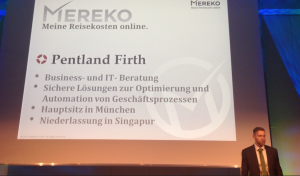 Did you know: Pentland Firth Software GmbH, owners of the Sweetlets brand, have also introduced a new service (SaaS) to the German market for easily managing travel expenses online, called MEREKO – Meine Reisekosten online. In fact, MEREKO was among 30 finalists in Germany chosen for the Best in Cloud award 2013, which is sponsored by the popular German computer magazine COMPUTERWOCHE. The MEREKO team was invited to Frankfurt, Germany, at the end of October to give a presentation based on one of its clients, windeln.de. Normen Deutschman did the honors, giving an impressive and convincing performance, which you can view here (in German). 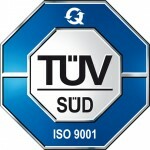 Great news: Our quality management system has been audited by the TÜV SÜD Management Service GmbH and proofed that our QMS is compliant with the requirements of the ISO 9001 (Certificate registration number 12 100 46367 TMS). Find out more about Pentland Firth here. 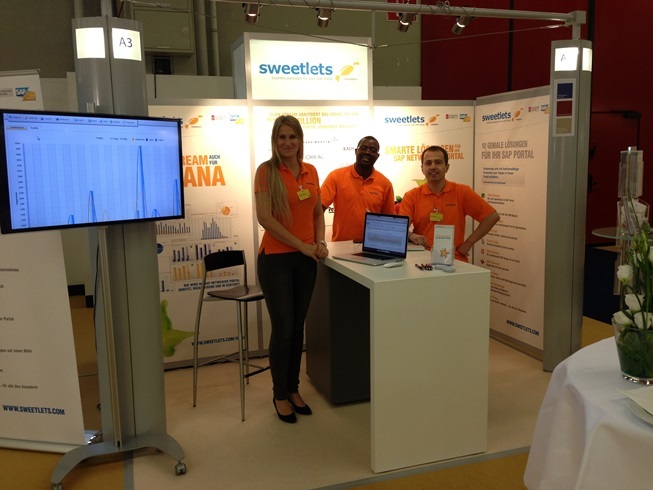 Last week, the Sweetlets team attended the DSAG (German SAP User Group) Annual Conference 2013, which had a record-breaking attendance of 4000+ visitors flooding the convention center in Nuremberg, Germany. Sweetlets was there once more with a booth, where we were demonstrating our portal tools Click Stream analytics and System Messenger, which were especially popular with our visitors this year. When time allowed, we visited a some interesting conference talks. The overarching theme this year was “Changing Processes”, with topics centering around HANA, mobile apps, developments in the HANA Cloud Portal and data security. 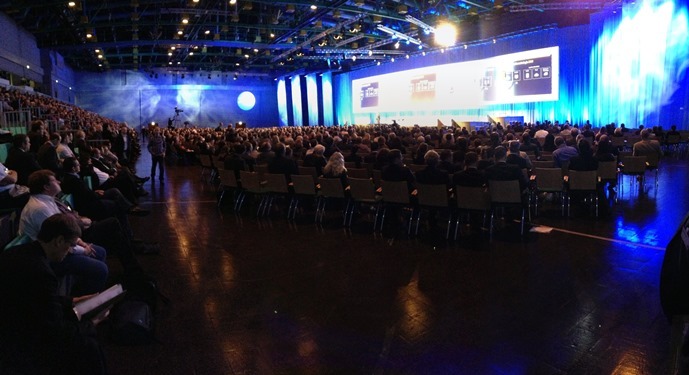 Keynotes were held by Marco Lenck, chairman of the board of DSAG, and Jim Hagemann Snabe, co-CEO of SAP. HANA continued to be a focal point during this year’s conference, especially considering that DSAG, through extensive talks with SAP, managed to convince the company to adjust its pricing model for HANA, making it a more realistic IT acquisition for a larger number of companies. Just about all partner booths on the trade floor show advertised support of HANA technologies. David Awankem, one of our Sweetlets developers, went to a keynote on adventures with in-memory technology, which was held by Michele Vögele, Vice President of Global IT for adidas Group. Mr. Vögele presented a convincing case study for using the HANA database to optimize business processes across various sectors and dramatically decrease response time. It was a very well-attended session indeed, which underscored the continued interest in HANA. Everything is moving to the cloud these days, including SAP’s enterprise tools – many speakers talked about the expansion of HANA Cloud Portal and its various capabilities and configurations. Cloud is all very well and good, but what about data security? In light of recent events uncovering the NSA scandal, this topic came up again and again. In his keynote, Jim Hagemann Snabe emphasized SAP’s commitment, as a German-based company with many German and European clients, to protect client data. On the one hand, SAP already has many regional data centers that can store data for local companies, so that, for instance, the data is protected by local data privacy laws. They want to continue expanding the network of regional data centers to ensure data protection. On the other hand, they want to work towards establishing European-wide legislation that enables data exchange between regions while protecting business-critical data, thus ensuring that local data centers do not become a hinderance to business development. At the end of the second day, visitors were able to get down and groovy at the fabulous 70’s-themed “Night Fever” party. If disco was not your thing, you had the option to chill out and unwind at one of the cool retro-style lounges. The latest release of BW Tree now enables you to view all documents that are stored in your SAP BW systems, which means you no longer need to save documents locally (in addition to saving them in your BW system) if you need to access them quickly. This new capability makes BW Tree an even more convenient tool for accessing a wider range of data. Of course, BW Tree also lets you filter your tree view accordingly, so that you can see only documents and quickly find what you need. In the end, BW Tree gives you single sign-on accessibility to reports and documents across multiple BW systems – it’s a simple tool for your portal that now makes your work that much easier. Read more details about BW Tree here or read our newest success story about BW Tree. The German SAP User Group will soon open the doors to its annual conference (DSAG Jahreskongress 2013) next week in Nuremberg, Germany. The main theme of the conference this year is how technologies such as mobile apps, the cloud and in-memory strategies can make an impact on business processes. Visit our Sweetlets booth A3 to watch live demos and find out the latest developments in our product range, such as Click Stream on HANA and new features in BW Tree. You can also talk to us about your individual plans for HANA projects – as certified SAP Gold Partner and HANA experts, we are happy to offer you assistance. 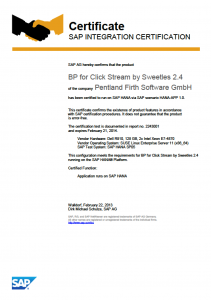 Did you know: Sweetlets was the first SAP partner in the world to receive SAP HANA certification for our product Click Stream. 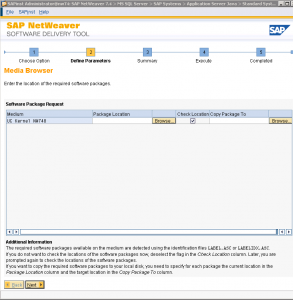 SAP NetWeaver 7.4 is the newest release of SAP NetWeaver 7.3. This latest version runs on all database platforms supported by SAP NetWeaver and is also optimized for SAP HANA. 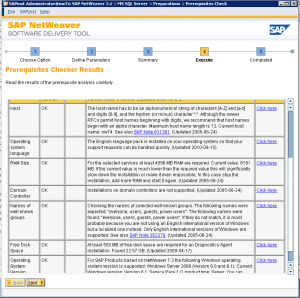 NetWeaver 7.4. also includes new and updated features for the Application Server ABAP, connectivity, UI technologies, SAP Business Warehouse and security. 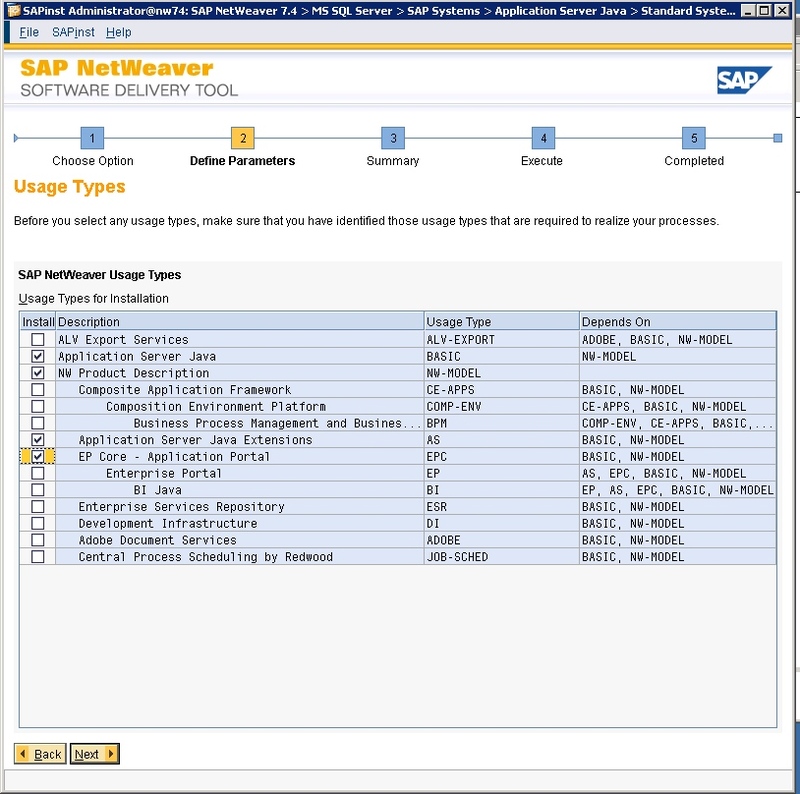 In addition, SAP NetWeaver 7.4 Java-based hub solutions can run on SAP HANA. 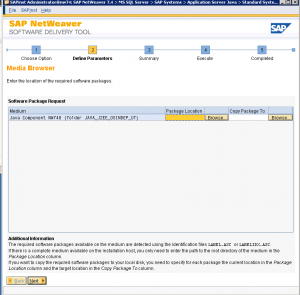 In this post, we describe how to install SAP NetWeaver 7.4 Application Server Java on Windows Server 2008 R2, together with Microsoft SQL Server. However, you can apply these or similar steps to Application Server ABAP as well as different operating systems and databases servers. 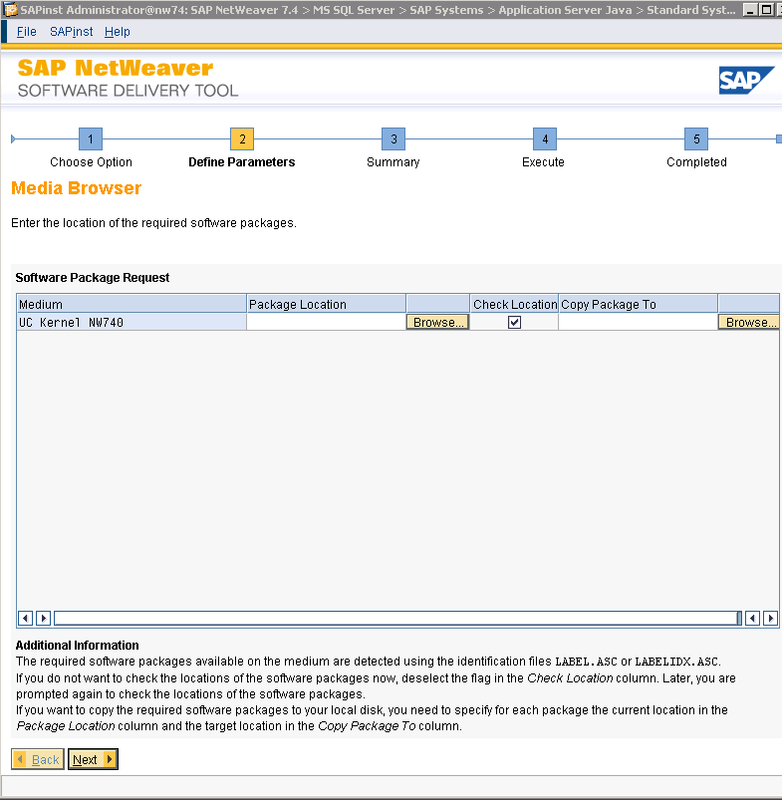 Download and read the release-specific Master Guide at the appropriate download location under http://service.sap.com/instguides. 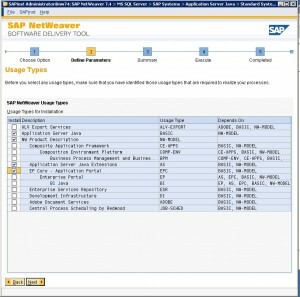 Identify the use case and download the software packages mapped to the use case at http://service.sap.com/swdc. Copy the downloaded media to a local directory on the installation server file system. In the command prompt, navigate to the folder 51046000 \x86-x64\EnterpriseEdition on the MS SQL installation DVD. 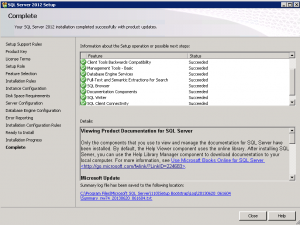 Execute the setup.exe file to start installing MS SQL. Proceed with the installation following the guided instructions and set the parameters as stated in the installation guide. 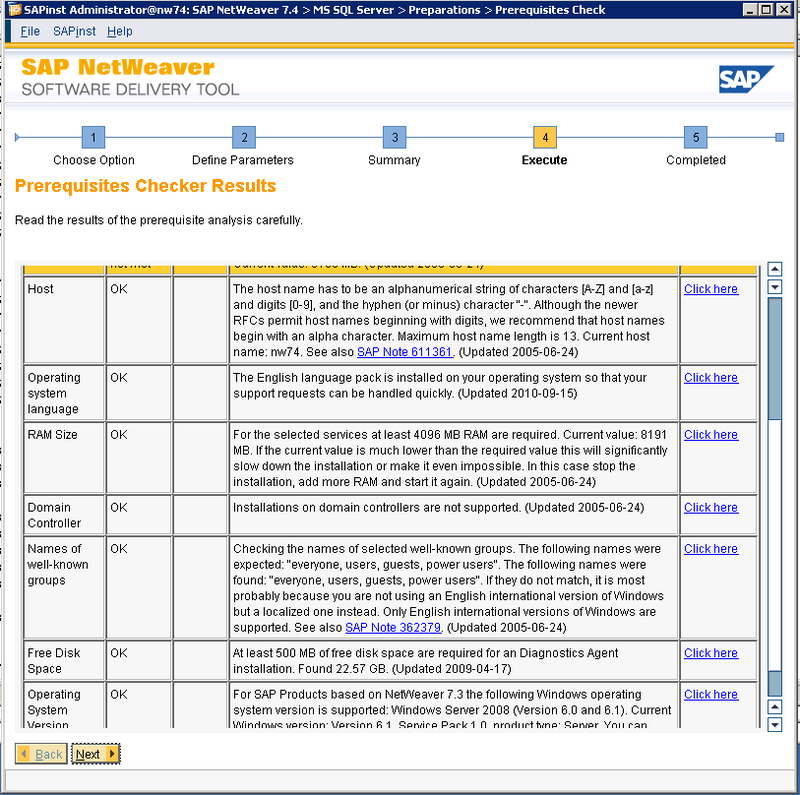 After choosing your installation scenario according to the Master Guide (available under http://service.sap.com/instguides), download the latest version of Software Provisioning Manager and the SAPCAR archiving tool from http://service.sap.com/swdc. Decompress Software Provisioning Manager using SAPCAR with this command: SAPCAR –xvf <path>\<download directory>\<Archive>.SAR in a directory on the Windows server. Start the installer by double-clicking sapinst.exe in the directory where you unpacked Software Provisioning Manager. 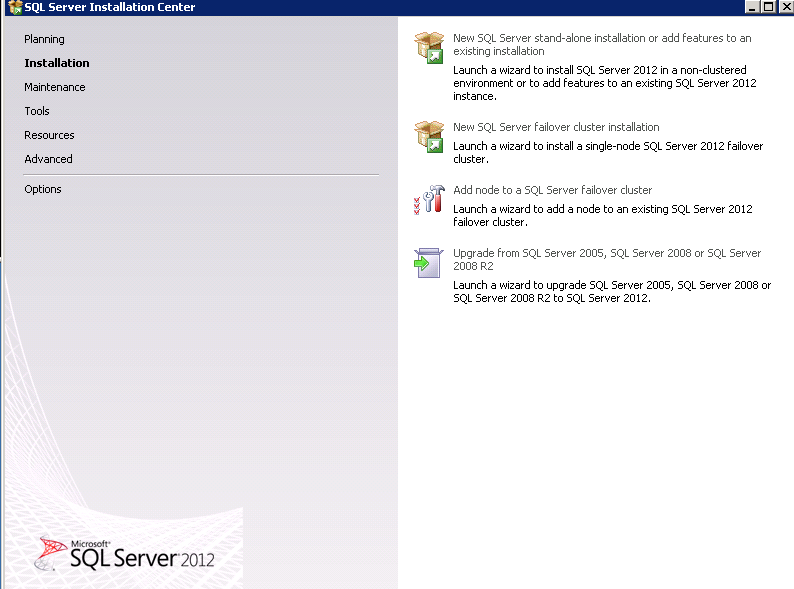 On the welcome screen, navigate to Installation -> MSSQL Database -> Preparations and choose Prerequisites Check. 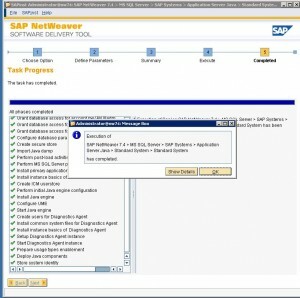 After the check is complete, proceed with the installation of SAP system based on SAP NetWeaver Application Server Java. Restart the installer and navigate to SAP Product->MSSQL DATABASE->SAP Systems Application Server Java and select standard system. 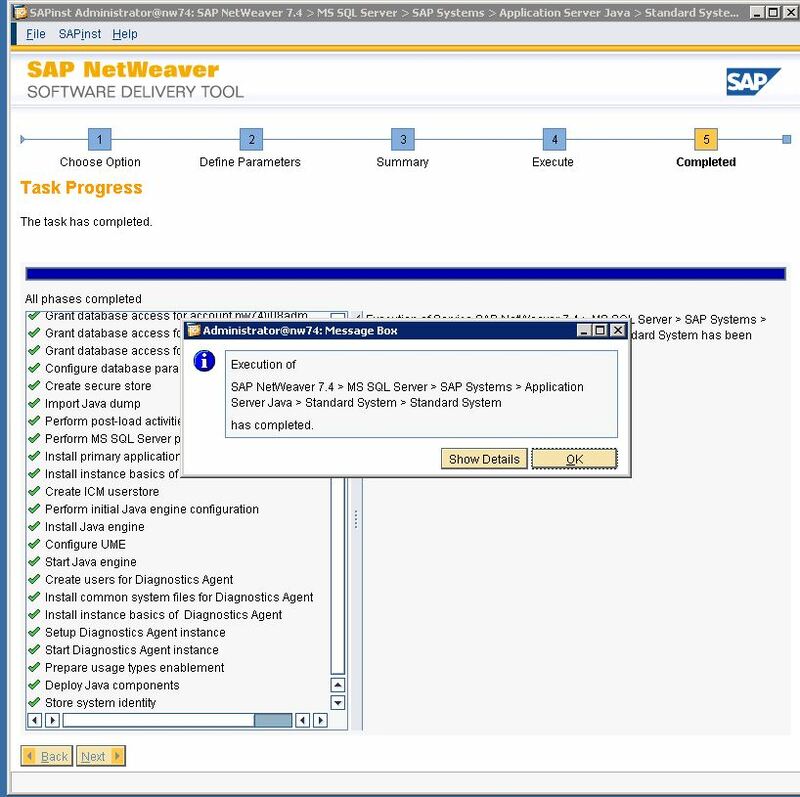 Double-click the sapinst.exe file to start the installation screen for SAP NetWeaver Application Server Java. 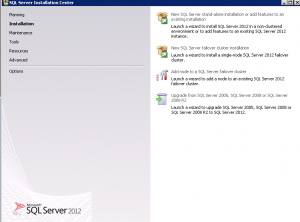 On the installation screen, select the components that belong to your installation scenario and click Next. Enter the location of the installation packages in your local directory and click Next. 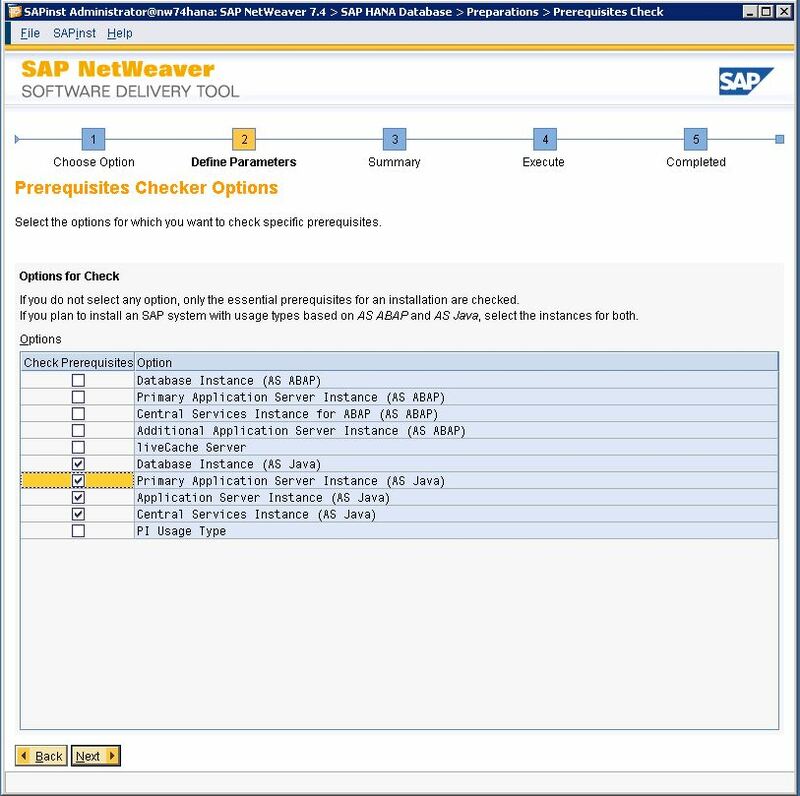 Define a unique SAPSID for the server instance, go to the next screen and register the diagnostic agent user. Click Next to go to the summary screen. 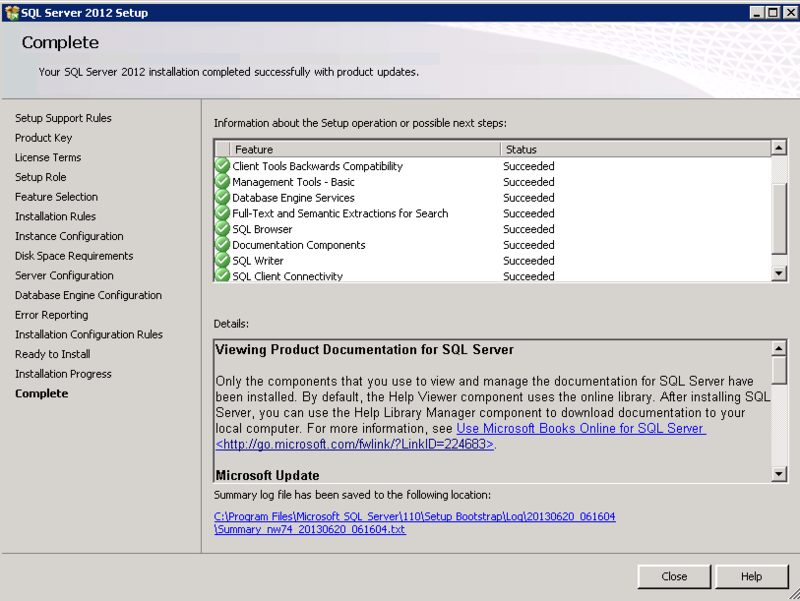 Verify and confirm your selections before executing the installation. You can monitor the installation process until it is complete. We’d like to read your thoughts. Please leave a comment below. SAP HANA Cloud Portal is a cloud-based solution for building sophisticated HTML5 portal applications quickly and easily. The portal is based on HANA Platform as a Service (PaaS), where developers can develop and run applications. Sweetlets was one of 27 SAP partners to test HANA Cloud Portal in last week. In the following, you can read our analyses of the portal based on the hands-on experience we gained during the three-day partner test. SAP HANA Cloud Portal supports Internet Explorer 8 to 10, as well as the latest versions of Firefox, Safari and Chrome. Applications developed for HANA Cloud Portal can also be viewed on tablet devices, although there are some limitations to zooming and content adaptation. 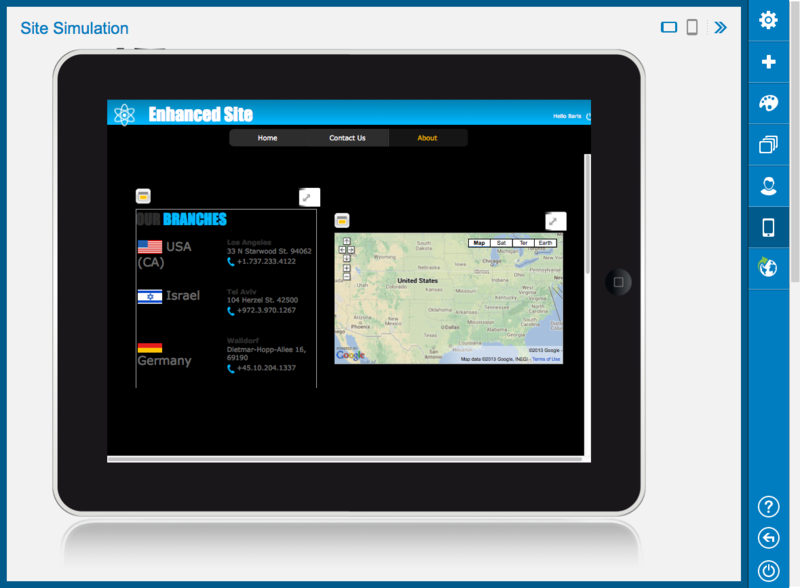 In addition, HANA Cloud Portal gives you a simulation of tablet view before you publish the page. Currently, portal content cannot be adapted for mobile devices such as smartphones, making it difficult to consume the same portal content on these devices. However, during the partner test, Cloud Portal developers notified us about new smartphone improvements in the upcoming months. Most of the improvements on the Cloud Portal will be visible to developers without portal down time. This continuous development cycle maintained by SAP is one of the biggest advantages of the Cloud Portal compared to on-premise portals. 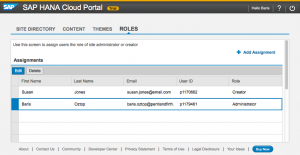 The new HANA Cloud Portal focuses on separation of roles, which means that while an application developer creates a cloud portal application as a widget, a content author can provide content or author different widgets on the front end. This minimizes the dependency between content provider and application developer, although content authors will still depend on developers when they need to retrieve data from an SAP backend system. Cloud Portal developers have noted that SAP AppDesigner* will be enabled on the HANA Cloud platform to give the less technical content authors a wider range of functions. * SAP AppDesigner was originally announced at SAP TechEd Las Vegas 2012 as a graphical WYSIWYG editor for modeling HTML5-based mobile UIs. Read an SCN blog post about AppDesigner here. 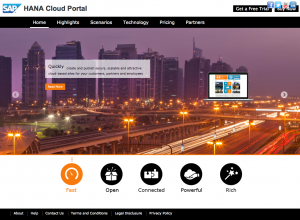 HANA Cloud Portal provides an intuitive user interface for easily authoring content. Users can drag and drop content, align content on the page and create new content using existing widgets, for instance, the WYSIWYG editor widget. However, layout functions could be improved. At the moment, there are no tools that enable you to lay out the page more precisely. A template concept is also lacking, so that content authors need to duplicate the same content manually to all existing pages, for example, page header and footer, which is mainly static content on all pages. In addition, since you need to manually move widgets around the page to get the layout you want, it would be useful to have a history function to view or revert to a previous layout – this is another feature that is missing in HANA Cloud Portal. 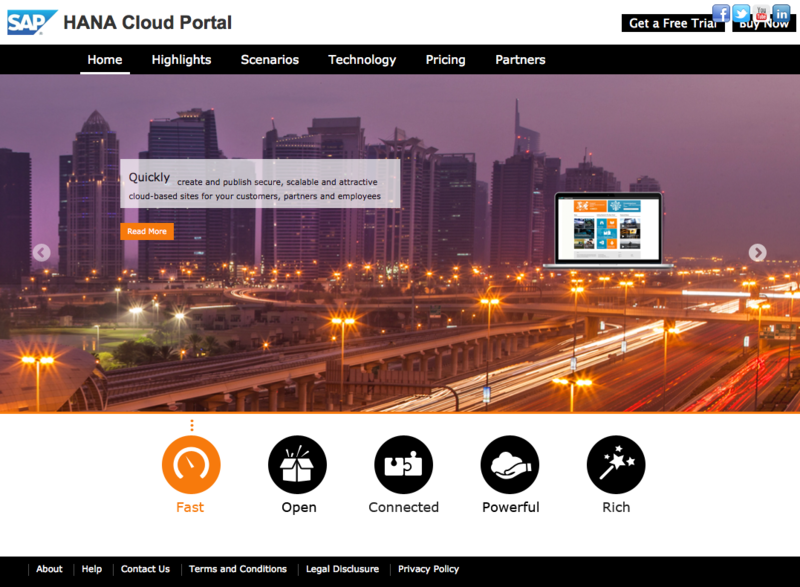 Theme options are also included in the Cloud Portal. Users can download a default theme from the portal, which is a CSS file, then modify it in an editor, and upload the modifies theme. However, there is no preview option when you make changes, because you make the changes locally. We believe the new theme designer introduced with NetWeaver Portal 7.4 will be a great candidate for Cloud Portal as well. User management options are also available with Cloud Portal. 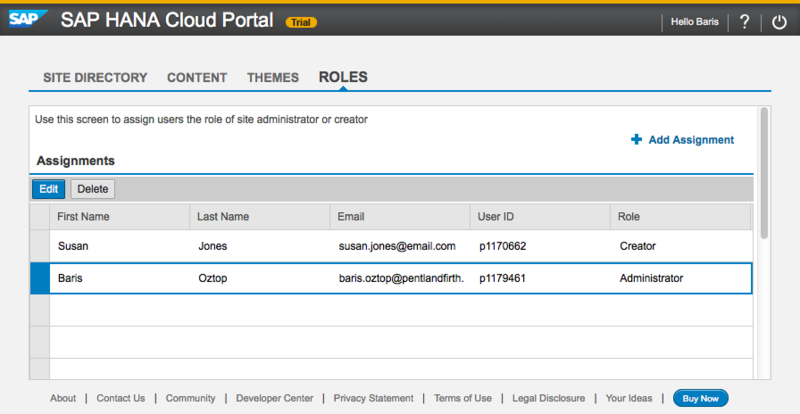 You can easily make pages visible to specific users or groups, and assign portal authoring roles of the portal. With HANA Cloud Portal, we can also see how SAP is adapting to the available open source technologies such as OpenSocial. Developers can build on or leverage existing OpenSocial applications, which is a component model and set of APIs for creating enterprise web applications to enable interoperability on Cloud Portal. Authentication can be performed via SAML2 and SAP ID (OpenID in the future), and connectivity to a SAP back-end system (such as on-premise SAP NetWeaver Portal) requires setting up a gateway service and SAP Cloud Connector. Currently, there are less than 10 APIs available, and these provide basic functionality for widget management. Applications can be developed and deployed with Eclipse and its HANA Cloud Portal plugin, which is a convenient IDE for many of the developers. However, since there is no local preview environment for deployment (you need to preview everything on the Cloud Portal), this adds to development time. The goal of SAP is not to replace the existing SAP on-premise NetWeaver Portal, but rather to meet the demands of the lean portal market. If your company or organization has a scenario that requires connecting to an SAP back-end system, then HANA Cloud Portal can be a quick and cost-efficient solution. On the other hand, if you want to create web pages with static content or web applications that need to retrieve data from a non-SAP back-end system, there are other alternatives, including open source solutions, that can compete with HANA Cloud Portal in terms of price and capability. We on the Sweetlets development team are ready to include HANA Cloud Portal in our development activities in any case. As every year, Sweetlets will have a stand at the largest SAP user group event outside the US. The Sweetlets stand at the DSAG Annual Conference will feature Click Stream and HANA, as well as BW Tree. The event takes place September 17 to 19 in Nuremberg/Germany and will focus on how technologies such as mobile apps, the cloud and in-memory strategies make an impact on business processes. By popular demand, we are taking Sweetlets back on the road in the USA to demonstrate the products in person and on site to new and existing clients. On June 6th in Ratingen, Germany, Sweetlets client EADS gave a talk about the company’s experience with content management in their portal, as well optimizing communication and analyzing portal performance (German title: “Nutzungsstatistiken im EADS Portal”). 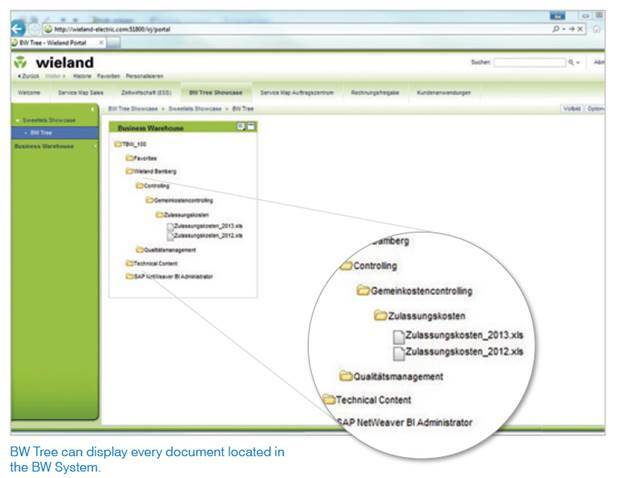 The presentation was held during a German SAP user group workshop (DSAG Infotag – Arbeitskreis Portale), and Click Stream was repeatedly mentioned in the presentation as an application that helped EADS figure out how to make their portal pages more effective. For more information please visit the DSAG website here. 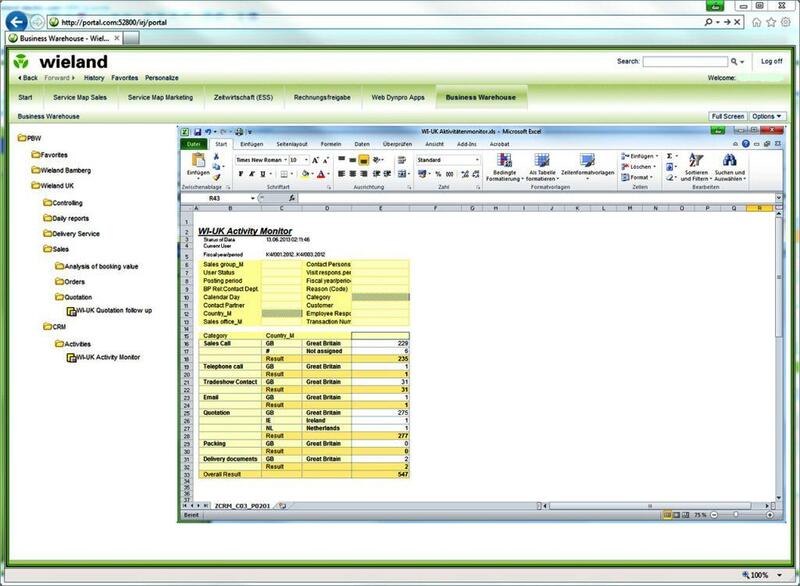 Did you ever wish you could easily access and find your frequently accessed BW reports? BW Tree by Sweetlets is an iView that offers just this functionality – it puts all your BW reports at your fingertips, and because the BW Tree iView is integrated into your portal pages, you can instantly retrieve your reports without needing to sign on again to individual BW systems. 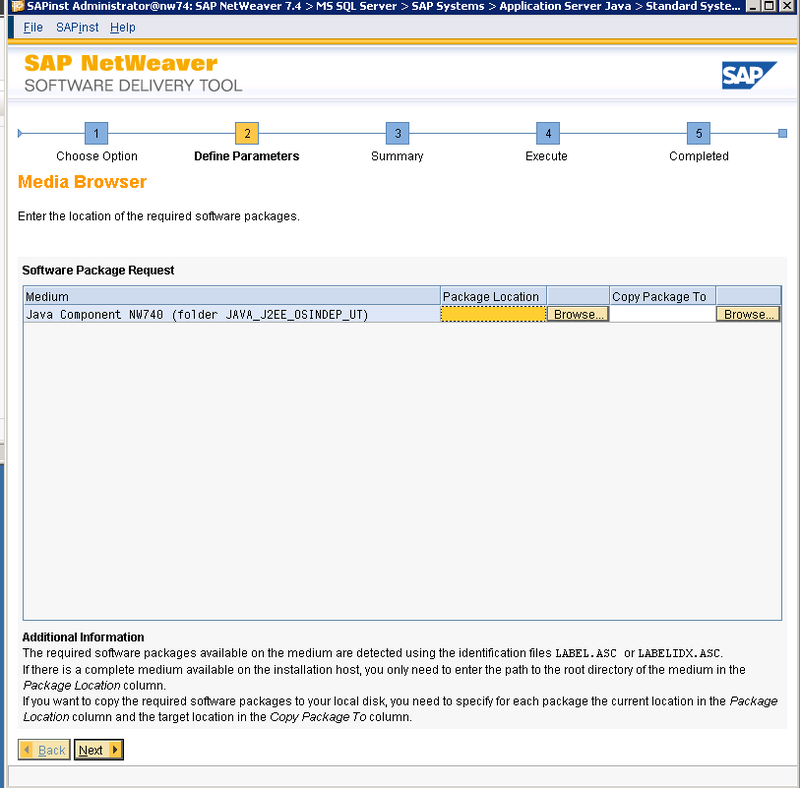 If your company has used SAP’s BEx Browser up to now to access BW reports, you may want to consider trying BW Tree, since SAP has discontinued support for BEx Browser as of April 2013 and no longer provides this feature with NetWeaver Portal version 7.3. Innovator of the Year”. This category is for SAP partners who co-innovate with SAP to deliver exceptional customer impact. We are very proud of this achievement, than out of the thousands of organizations across our broad partner ecosystem, only 40 achieved the status of being an SAP Pinnacle Awards finalist.